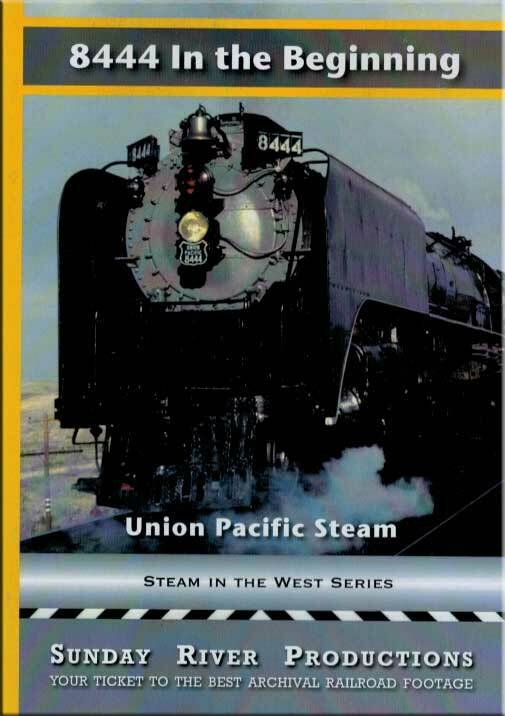 Back when the 8444 got her 4�digit number, steam had not yet vanished from the Union Pacific. While mammoth �Big Boys� and decapods lay dormant awaiting the fall grain rush and the great City fleet of Streamliners whisked by, 8444 worked. This DVD salutes 8444 in spectacular excursions from Denver to Rawlins and Ogden to Green River, complete with domes and full service diners. A marvelous brass-railed, open platform 1890's observation car brings up the rear of a glistening streamlined consist. Explore the Dent Branch between Denver and La Salle in detail. In the finale, 8444 forges through a major blizzard on Sherman Hill in what UP upper management threatened would be her last run. But, luckily for us, she continues to steam on to the present day. 30 min. N.H.J (New Jersey) on 2013-02-16 22:15:58.